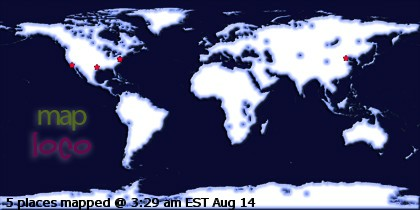 All lectures are approximately one hour . 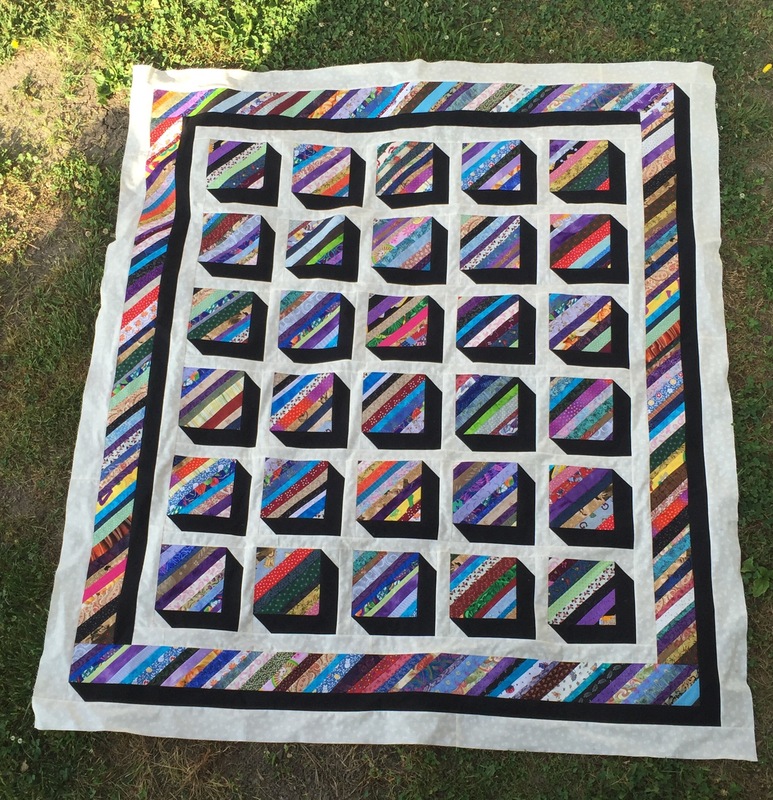 Have you ever made a string quilt? They are addictive, especially if you learn the quick and easy way Theresa makes hers. In this lecture/trunk show you will learn about different foundations you can use and see a variety of string quilts, many of which are original string quilt designs by Theresa. You’ll get many new ideas on ways to use strings. This trunk show consists of over 40 quilts and wallhangings that Theresa has made over the years. 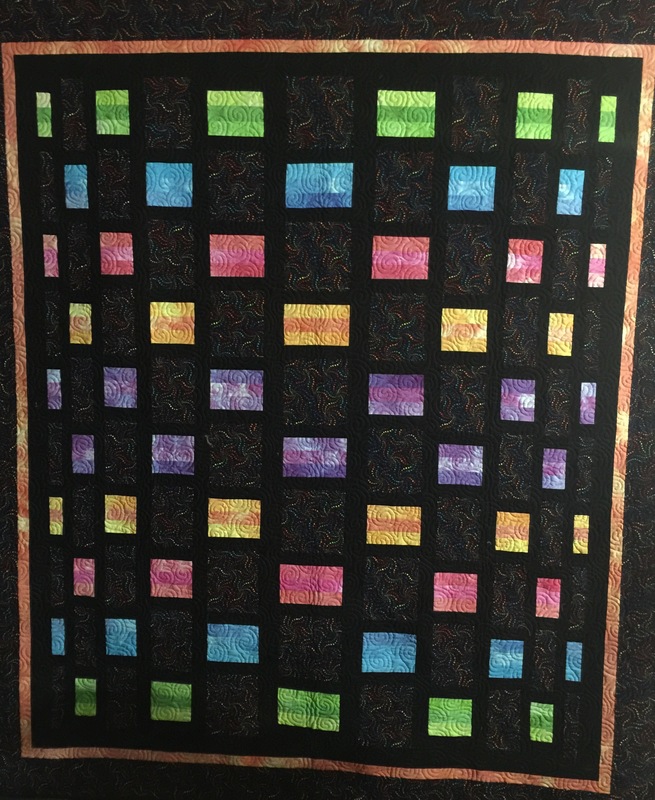 She has quilts made from charm square exchanges, ugly fabric challenges, block of the month quilts done through her guild and many more online swaps. If you’re looking for ideas for your guild, this trunk show encourages you, no matter your level of quilting, to try new things and participate. This lecture/trunk show covers how longarm quilting has changed over the years and what Theresa has learned. 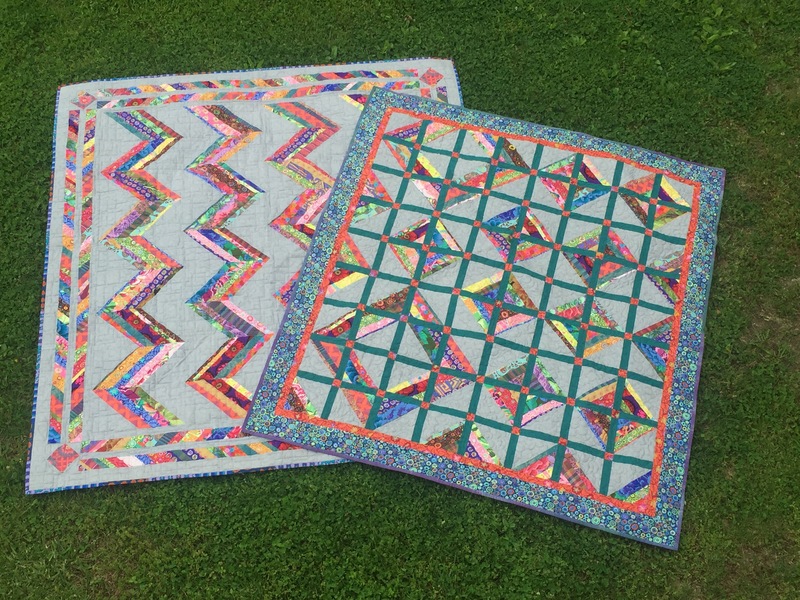 With 18 years of longarm quilting experience, she shares mistakes she made (and learned from) and gives you tips on how you can help your quilter during the piecing process as well as tips for the quilter when dealing with difficult tops. She covers many questions people have about “why this” and “why that” when it comes to longarm quilting. Although there are no set rules to follow, she will share what works for her. Whether you quilt your tops or send them out to a longarm quilter, this lecture is full of information to help you achieve great results with your quilts. 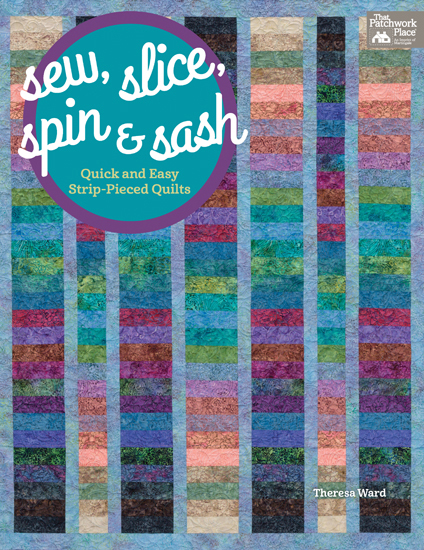 Choose a pattern from Theresa’s book and learn the sew, slice, spin and sash technique. Learn to make quick string blocks then add a shadow. Learn how to add a shadow behind circles for a fun wall hanging or quilt. Does your guild host retreats? If so, how about offering a fun-filled weekend of MYSTERY to your guild members? Theresa joins forces with Sharon Lorfing and together they will have you sleuthing for clues to make one of their mystery quilts. A few weeks before the retreat, you will get the yardage require-ments and guidelines for choosing your MYSTERY quilt fabrics; the cut-ting instructions; and a little pre-sewing. At the retreat, you will get easy to follow CLUES and as you finish each step, you will get closer and closer to solving this MYSTERY !! Throughout the retreat, names will be drawn for DOOR PRIZES.